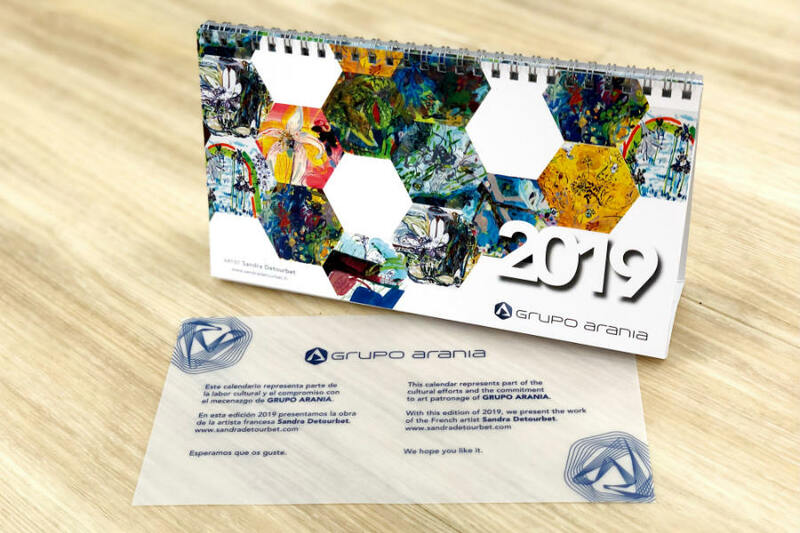 Sandra Detourbet, featured artist for the 2019 calendar of Grupo Arania. This calendar represents part of the cultural efforts and the commitment to art patronage of GRUPO ARANIA. With this edition of 2019, we present the work of the French artist Sandra Detourbet. A new year in which we will continue to bet on human capital and cutting-edge technology. We will also work to keep growing while ensuring added-value solutions. Industrial steel processing group founded in 1940. Throughout its history, the Grupo Arania has been able to combine the most advanced processes –to provide the best service for its customers– with a clear long-term vision in the management of its multi-sector reality, giving rise to sustainable growth based on internationalisation, innovation and the people who support its values.